Lots of people might be hiding their smiles because their teeth are yellow or dull in colour. If you like to drink tea, coffee or wine, your teeth can also get stained quite easily and routine home hygiene care will not be able to remove them effectively. Teeth whitening treatment is a proven and safe treatment that can solve these problems, and boost up your confidence with a beautiful dazzling smile. Teeth whitening involves the application of bleaching gels on your teeth and the gel will be able to break down the chromogenic (coloured) molecules attached inside the microstructure of your tooth. Take home kits vs. In-office treatments. Which one is for you? treatment. The in chair session will usually take about 60-90 mins in total and you will leave our clinic with a beautiful confident smile. The take home kit is more suitable for people who don’t need to make a huge improvement but only want a few shades whiter, is only on maintenance after an in-office bleaching session, or simply on a tighter budget. 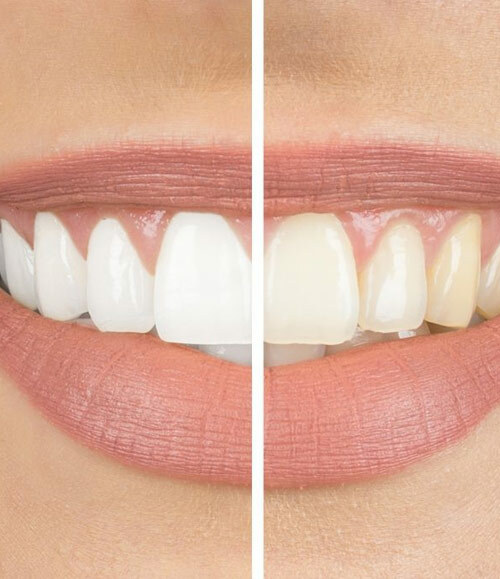 You will be given a set of custom made dental bleaching trays that fit specifically on your teeth, with a professional take home bleaching kit. You will have the full control of how much and how long you would like to bleach your teeth, with the convenience of doing them at home when you are watching TV or taking shower! At Lara Village Dental, we are giving a special opening offer of $149 for the complete take home whitening kit, which includes upper and lower dental bleaching trays and a storage case, as well as the SDI PolaDay bleaching kit.